In my spare time, I often research feline nutrition – yes, I’m THAT much of a super geeky crazy cat lady. Every so often, I run into an item of information that doesn’t make sense to me. 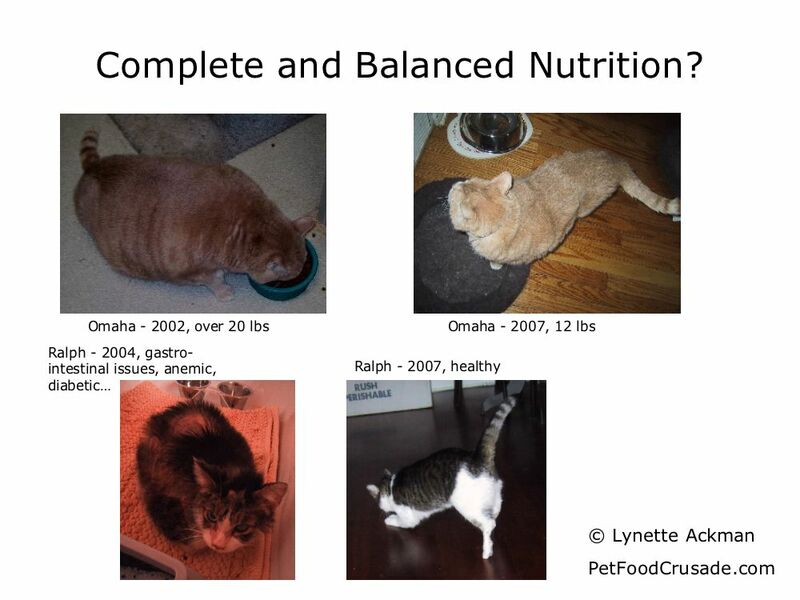 What I love about what I understand about feline nutrition is it makes sense – it’s logical! An obligate (true) carnivore, evolved from a desert species, needs meat and moisture. Even my simplistic mind can get a grip on that! As my nutritional heroes say – this isn’t rocket science! So, it bugged me when I discovered taurine requirements were lower for dry food than wet food. Why? WHY? Interesting little sidenote – when cat food was first created, it was basically dog food – made into smaller cans or smaller kibble pieces. In the 1980’s a researcher was studying heart disease in cats when he found that nearly all his patients were deficient in taurine levels. When he supplemented taurine, they improved. Thus, pet food manufacturers began supplementing cat foods with taurine. Turns out taurine, which naturally occurs in raw meat, is easily destroyed by cooking. It also oxidizes quickly once meat is ground – and may be degraded by freezing. So, back to my ponderable. Why is less taurine needed if cats are on a dry diet? WHY? Well, in doing some other research – I found a great recent study on carbohydrate malabsorption. The study found that carbohydrate malabsorption was a common feature in IBD (inflammatory bowel disease) in felines. That didn’t surprise me in the least. In my experience (with five cats with IBD so far – either adopted or fostered), foods containing high levels of carbohydrate (such as dry food) were not tolerated well at all. Again, cats are obligate carnivores – they’re not designed to eat carbohydrates, they’re designed to eat protein and fat. They have absolutely no nutritional requirement for ANY carbohydrate. Then, reading another study, one of the items they noted was that cats on antibiotics required less taurine than cats that weren’t on antibiotics. Through some research, they concluded that taurine was in some way utilized by the healthy gastro-intestinal (GI) bacteria. Antibiotics, as we know, kill off not only unhealthy bacteria, but healthy ones as well. So, by having less GI bacteria, the cats needed less taurine. LIGHT BULB MOMENT: So… if carbohydrates may affect GI bacteria (as indicated by malabsorption), and dry foods are naturally higher in carbohydrates (as a starch is required to process those little kibbles), and GI bacteria utilize more taurine – then it makes sense that less taurine is needed in dry foods because dry foods are probably damaging the healthy GI bacteria that would otherwise utilize the taurine! YAY! I think I get it! Or, at least I have a theory – and I’m always happier having a theory, even if it may ultimately be proved incorrect – than I am just being clueless.